Since 1999: 932814 pageviews on this page, 35331492 pageviews on the whole site. Since 1996: 37966245 visitors to ncdsa.com, 263699 posts. Attn: Vendors! New posting policy in effect. We are pleased to introduce our self as a manufacturer and exporter of all kinds of leather products. Such as, downhill skating suits, gloves, motorbike gloves, motorbike jacket, motocross gloves, motorbike shoes, motorbike suit, leather vest, leather belts, and saddle bags. 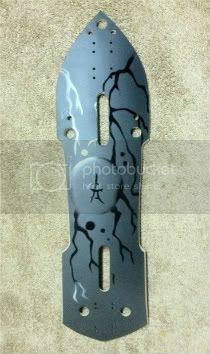 We can produce all custom designs with special measurement and logo and in fine quality. If you have any question or comments please feel free to ask us. Hope very soon we will start a good and long-lasting business with your company. 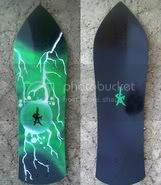 I'm trying to find bindings for a Mongoose Slalom 132. Can anyone help? Thanks! 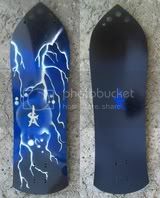 The Concrete Carver 2 is Ting Boards top selling ride. We've carved her out of birch ply (39.9"), and set stringers in by hand to give a rad finished effect to the board. "The closest I've ever been to surfing on the concrete"
I'm doing this internship with a startup project. I've been skateboarding for years but am new to Longboarding. I really need some help with these questions and would really appreciate any direction I can be pointed in. 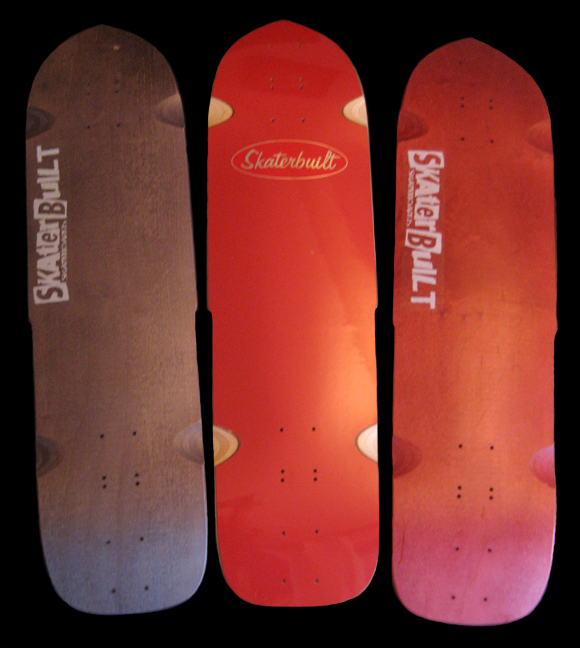 1) What is the size of the Longboarding market? - Not skateboarding and Longboarding together. 2) What do the demographics look like? Especially age group. Dear Friends and Supporters, this year has gone by much to fast for me, I trust you and your love ones had a great Christmas. Now we shall “BURY” (2013) in just a few days, thank GOD. I want to wish everyone the very best in (2014) and may all your goals that you set be fulfilled. Hello my friends, I trust all has been well with everyone and you are having a super summer. It for sure has been a fast summer this year and a HOT one here in California. We are still in the (100*) plus mark and the Humidity in the (85 %) range, which has been this way for the past month and no cooling down in sight for the next (5) days, so they say, not my bag that’s for sure, it’s even (90*) plus at the beaches, the sand is so Hot you have to wear sandals (LOL). I put a piece of metal out in the sun light for a couple hours and I was able to fry an egg on it, that’s how Hot it is, no I did not eat the Egg (LOL). I have not posted in quite a while and I do apologize for that but the business eats up all my time, can’t seem to go fast enough to keep up with everything. I wanted to get a post in before the year’s out and say thanks to all the Khiro supporters and to all the skaters that have e-mailed me from all around the globe and also the Event Organizers I have had the pleasure to work with in support of their Event’s and the Skaters. The Event’s I did get to go to it was really super seeing a lot of friends I have not seen in a while, getting to chat and laugh a little. The start of the Holidays are coming up soon and I want to wish everyone the best of joy, stay safe and enjoy every minute with your loved ones and friends. If you can, take time out on the Holidays to say a prayer for all our Troops and for our Skater friends we have lost over the years, they would be stoked to hear from you and you well know they are all having a blast Skating Heavens Golden Roads A-men. GOD Bless and always Skate Safe ! Longboard/Skateboard Rack for your Car and Wall on Kickstarter!! Lacey, here, with an awesome invention. 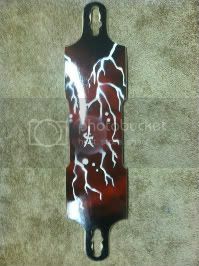 It's a longboard and/or skateboard rack that can go in your car or on your wall. Bout time, right? Like you, I was tired of my boards taking up way too much space in my car, making it difficult to get to the other gear in there, and hearing the boards banging around and damaging stuff. So I had a rack designed, built it, used it, loved it, and patented it. Now I've got a Kickstarter campaign going to raise money to start up production. On Kickstarter you can either donate money for heart felt thank-you in return or a guarantee for a longboard rack of your own! Check it out on kickstarter.com for more pics and videos! Just search Longboard/Skateboard Rack and it'll take you right to it. Feel free to ask questions or make comments! OK folks...We have a once in a lifetime opportunity. Jeff @ Gecko can produce the new GS/Hybrid for 200 GBP but only if 50 are ordered due to the rising cost of the premium materials used in it's construction. We need to know ASAP if you're in! Let us know on the Gecko Superlight FB page. Hey guys, I know I'm a little late to inform you guys but we're holding a photography contest that ends on the 31st at noon PST. This is our third photo contest and this time it's even easier for people to participate. Simply go to the contest page on facebook and upload a photo of you recently skating ANY skateboard or longboard! 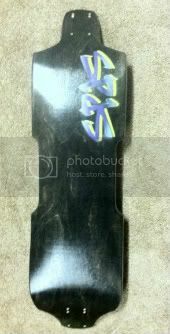 The photo with the most votes will win a Longboard of their choice from Scuffz.com The second place winner will get a Punked City Cruiser. As a bonus to anyone that takes a photo with our gear, simply provide proof of purchase and we'll ship out your prize for free! Have Fun. Be Safe. And Good Luck! We're holding photo contests every month so if you don't have time for this month's contest feel free to participate in our next one. Here are some photos of previous winners. Dear friends, another year is coming to a close and what a great year it has been and I want to thank everyone for your support throughout the year and all the wonderful e-mails. I do hope everyone gets everything they put down on their “Wish List” and remember “Mr. Clause” and “Mrs. Clause” knows if you been good or bad (LOL). I do wish you and your love ones a very Merry Christmas and a joyful New Year and look forward to a super 2013 which is going to be one exciting year. Live Hard / Skate Harder ! And once again, have a very happy Thanksgiving. My friends this year has gone by fast and it has been without a doubt a challenging year for all. It is that time of year to gather together with Family and Friends and enjoy the Thanksgiving Holiday. It is a time to give “Thanks” for the blessings we have all received and please take a moment to pray for all our Troops that are willing to give their all to keep America Safe allowing us the freedom to celebrate the upcoming Holidays and may we all celebrate the Holidays with Love and Peace in our hearts. God Bless and enjoy your Turkey ! It's been a while, but I'm still here and just like before, if you have a deck, or a complete that needs to be restored to beautiful condition (I can even clean and resurface your wheels) I am the one you have been looking for. 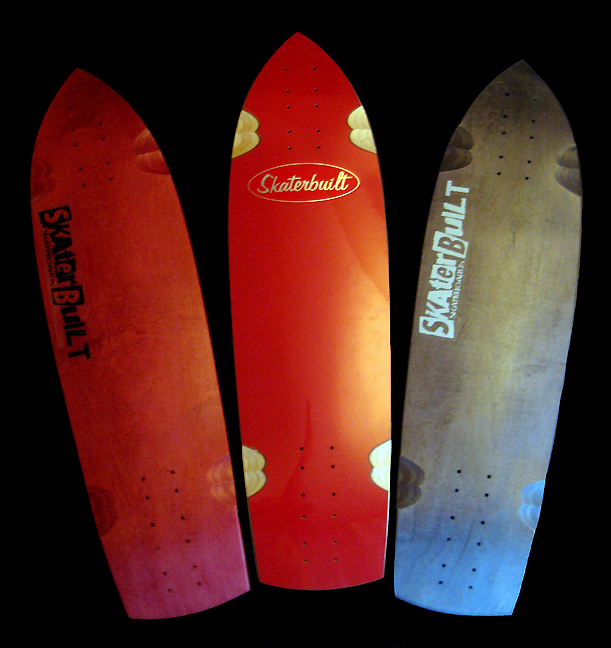 I love to restore skateboards and fibreflex is my specialty, but when it comes to any skateboard looking is best again let me know what it needs, and I will get it done. 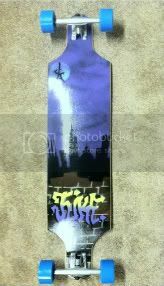 Located in hilly Woodbridge VA Stay Safe Sk8 Safe. Hello everyone! I would like to introduce Soft Skate, the shock absorbing, soft to the touch, stylish skate grip that your feet will thank you for. This is a soft EVA foam which offers excellent traction with shoes on or even barefoot! 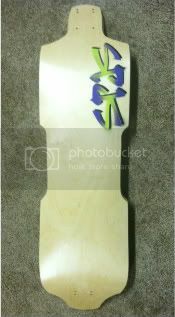 It is applied to your deck just like regular grip tape, with a peel and stick backing, then simply trim around the edges. We are a brand new new company in San Diego, CA. Check us out on facebook. Deadbolt pads welcomes Duane Peters to the team! Deadbolt Pads is proud to officially launch a new era in protective gear. Parent company, PAIN KILLER PRODUCTS, LLC, founded in 2010, found a gap in the current market with pads that weren't offering the type of protection needed. 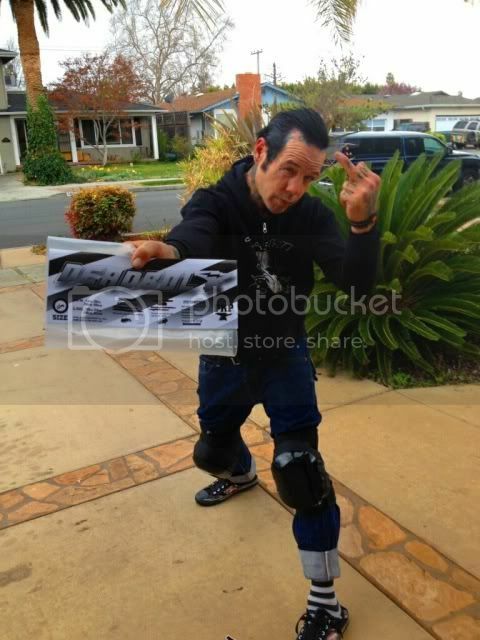 Pro rider, Randy Katen, was one of the many who were instrumental in giving P.K.P the raw feedback that makes Deadbolt Pads superior to other products. For riders that aren't afraid to take a spill. •	Patented open back strapping system for a much more secure fit. Array washer cups are coming out. There will be more products coming form Array products here soon. 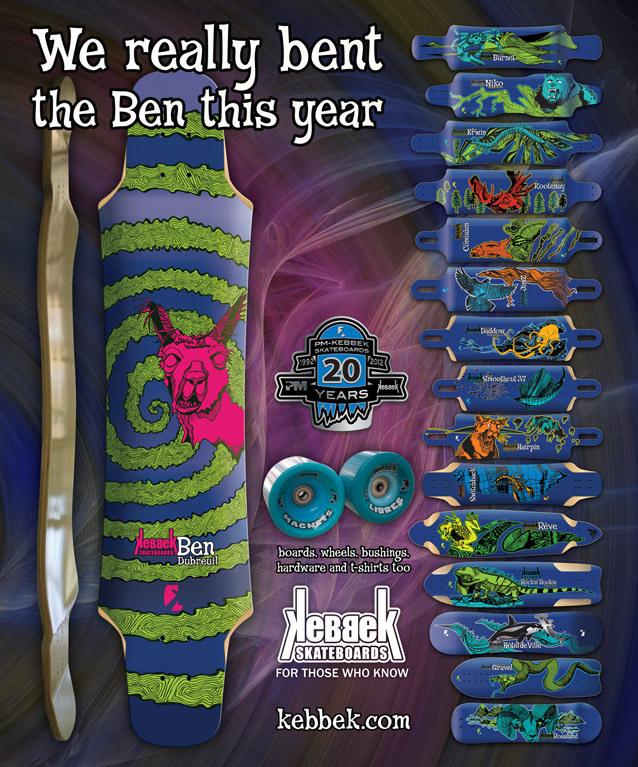 Here is the 20th anniversary line, all 16 of them! Happy new year fellas. We're excited for 2012 and have lots of new stuff droppin this year. Huge thanks to all our friends and fellow skaters who have supported so far. Can't wait for race season! 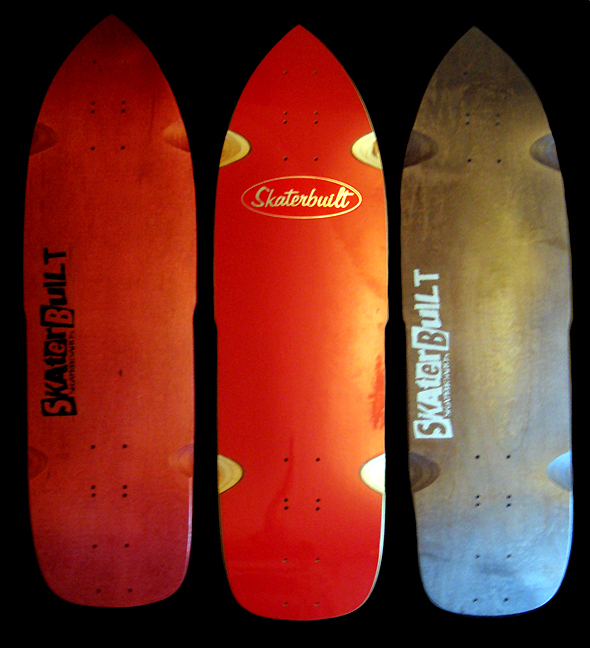 New Skaterbuilt Vert/Slalom Hybrids are IN! NEW - Low Profile Truck Bushings from Khiro!!! Khiro has received numerous request from skaters to produce a “Low Profile Bushing” for “Low Profile Trucks” so that’s just what we did. Produced out of Khiro’s special formulated Urethane and designed to absorb the shock of those big gaps, rails, stairs or anywhere you want to rip. They are produced in (3) Colors and (3) Hardnesses consisting of (Orange – Soft -85-A), (Lime Green – Medium Hard – 92-A) and (Purple – Hard – 98-A). Check with your local Skate Shop for ordering. Merry Christmas and a joyful New Year to all ! Discounts good through Monday 11-28-2011 We also still have Free Shipping over $25, and No Sales Tax within the continental U.S.